BAD KLEINKIRCHHEIM, Austria (AP) — After winning a women’s World Cup super-G, Federica Brignone dedicated her victory to Italian teammate Elena Fanchini on Saturday. The 32-year-old Fanchini had to end her season because of a tumor, forcing her out of her fourth Olympics in Pyeongchang next month. In the penultimate super-G before the Olympics, Brignone timed 1 minute, 9.80 seconds on the Karnten-Franz Klammer course and denied then-leader Lara Gut her first win of the season, beating the Swiss former overall champion by 0.18. Cornelia Huetter of Austria was 0.46 behind in third. Nadia Fanchini, Elena’s younger sister, trailed Brignone by 0.98 in fifth for her best result of the season. Lindsey Vonn finished 1.43 off the lead in ninth place, a day after the American standout was considering skipping the race to avoid the risk of getting injured on the partly weakened course. However, snow conditions vastly improved after a cold night. “As soon as I saw the course at inspection this morning, I knew I was going to run,” said Vonn, adding she was satisfied with the conditions after “the snow was sugar” in previous days. Vonn badly injured her right knee skiing in soft snow at the 2013 world championships in Austria, and ultimately missed the Sochi Olympics the following year. Wearing bib No. 2, Vonn briefly led Saturday’s race but knew she was not in contention for her 79th career victory. 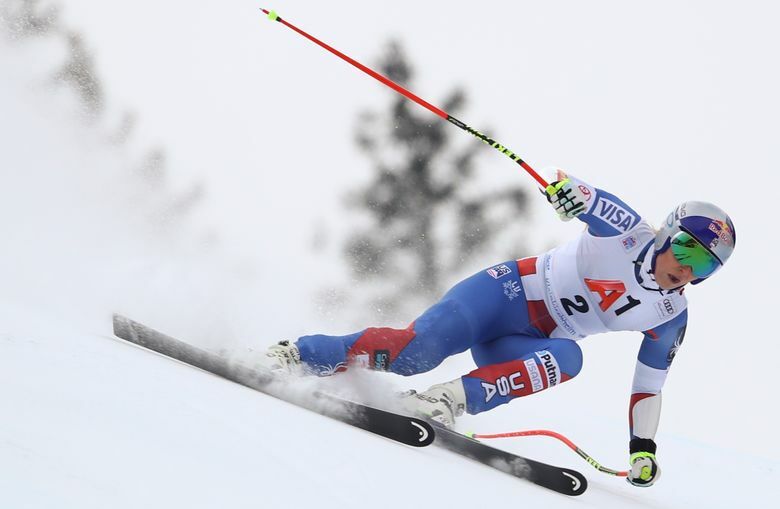 Vonn didn’t match Brignone’s skiing, who found the right line to master some tricky turns in the course. “It’s really bumpy, and then it’s going really straight in some parts,” Brignone said. It was the Italian’s seventh career win, and second of the season after triumphing in a giant slalom in Lienz, Austria, last month. Brignone became the fifth different winner of five super-G races this season. Still aiming for her first win after coming back from knee surgery, Gut used a strong run to take an early lead in the race. Brignone trailed by 0.08 at the last split time but made up two-tenths on the Swiss to grab the win. The race was rescheduled from Sunday after organizers swapped it with the downhill. The mandatory downhill training run will be held Sunday morning, two hours before the race.